No one’s an island, Cameron. You, your parents, London, Qikiqtaruk, the whales, the guillemots, the living, the dead. We’re all connected. If one moves we all move. Urban teenager Cameron arrives on an uninhabited arctic island. He is prepared for ice and storms and (stripped of his smart technology) possibly boredom. He is not prepared for 24 hour daylight and erupting graves. At first Cameron believes the explanations of his research scientist mother. But – as the island reveals itself to him – he begins to see (and hear) things which push him towards a very different reality. One of them is an Inuit girl. 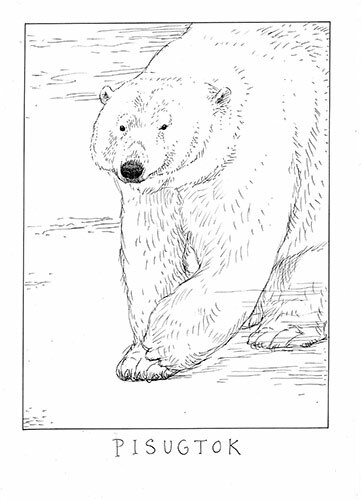 The other is a large white bear. Just finished reading your beautiful text and am now rather in love with Island. 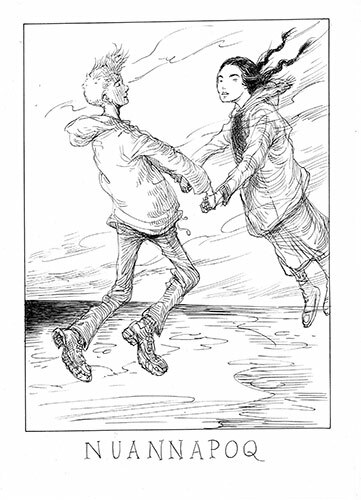 Island is illustrated by Children’s Laureate Chris Riddell – who has asked that any proceeds due to him be donated to Greenpeace. 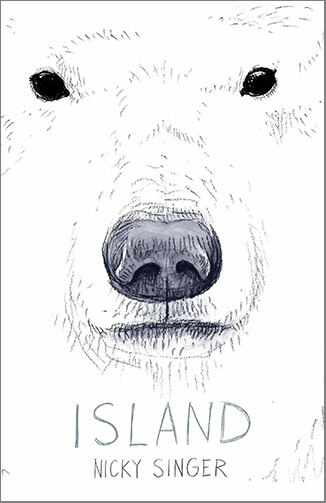 Despite being a sell-out play at the National Theatre, Island the novel was considered by publishers to be ‘too quiet for the current market’. The full story about this – and why I decided to crowd-fund the book – can be found here: http://nickysinger.com/new/island-the-directors-cut/. This was my Kickstarter campaign video – with massive thanks to the amazing people all over the world who took a risk on me. Listen to a sample here. Beware polar bear roar….